A few shots from my recent trip to Vancouver. 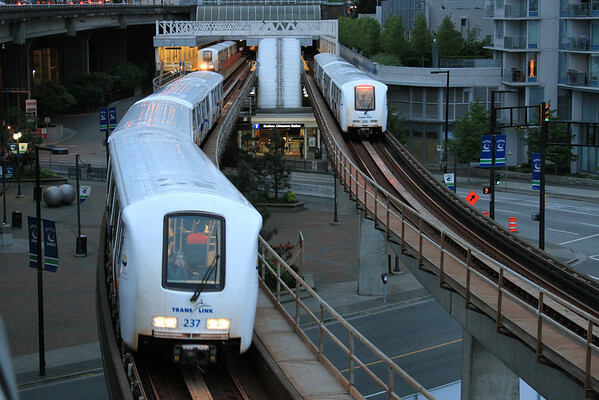 Skytrain Station. One inbound, one outbound, and one in queue. Click for full size image. A lone cyclist along the viaduct. 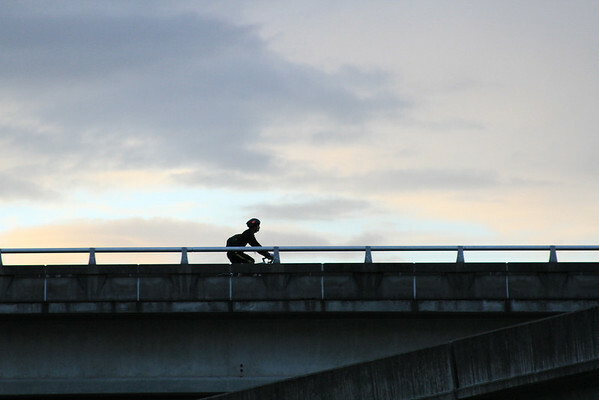 A lone cyclist. Click for full size image.